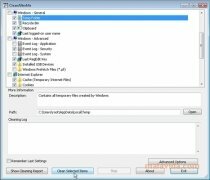 NirSoft is still developing fantastic applications for personal computers, like CleanAfterMe. 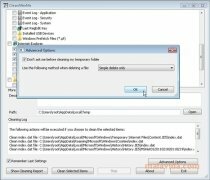 This computer optimization tool will allow you to delete worthless files generated by the system during our routine work at the same time that it can eliminate errors from the Windows registry files. You'll also be able to clean the browsing data that is gathered from Internet websites, from the browsing history and the cookies to the cache, and your access keys. It can also eliminate the temporary folders, the registry entries and the events registry. 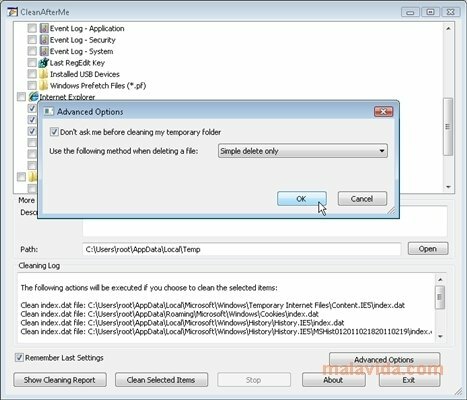 CleanAfterMe doesn't need to be installed. 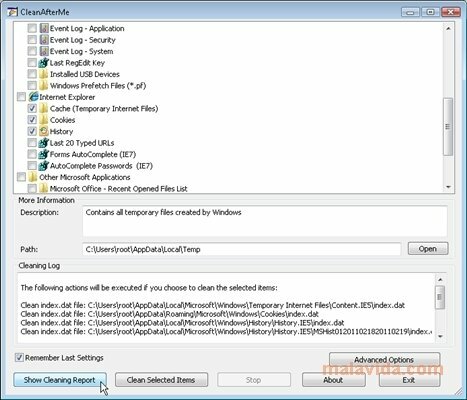 The size of the executable file is very small, thus it is very easy to use it as a portable application on any storage device. Choose what you want to eliminate from the software's main window, select according to your interests and check that everything it correct. “Clean Selected Items” will start the process. 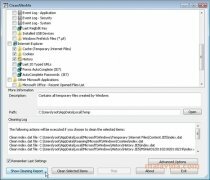 If you want to carry out the maintenance of your copy of Windows, now you have a program that you can download for free: CleanAfterMe.